Pre-University Course ( PUC ) or Pre-degree Course (PDC) admission is based on SSLC marks . After successful completion of PUC students could get admissson in various colleges or indian universities offering nursing, pharmacy, agriculture, engineering or medicine. students should take Common Entrance Test (CET) after prusing Science Stream and getting eligible marks in PUC examination . Students studies commerce group can get into Bachelor of Business Management or Bachelor of Commerce degree in various universities. 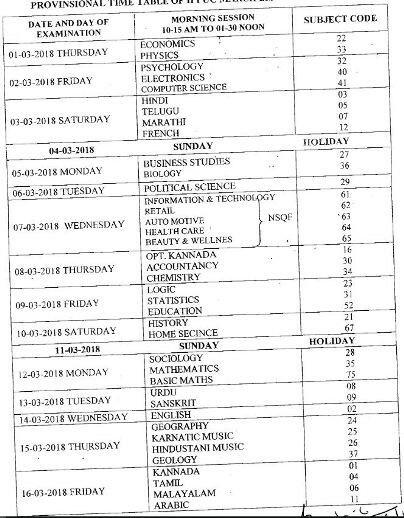 Students studies arts-stream PUC go to study B.A , DEd, BSW . 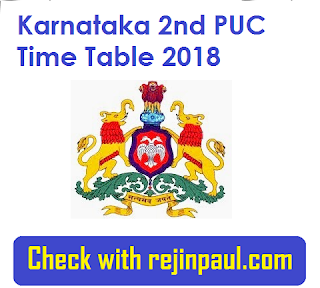 students can apply for these colleges after Karnataka 2nd PUC Results 2018 has been announced. Karnataka II PUC Examination 2018 will be conducted in morning Session from 10:15 am to 1:30 pm.